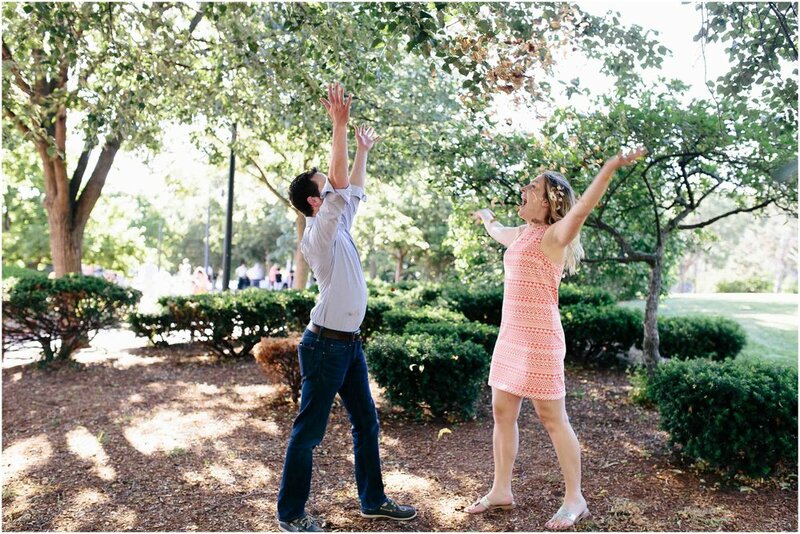 When life took them in different directions, Dan and Stephanie remained friends. Eventually, however, Stephanie moved back to Boston where she ended up working at the same company as Dan did. He tried for years to win Stephanie over and convince her that they were meant to be. Finally, she agreed to date Dan and his furry friend, Hurricane, affectionately called Hurc. Fast forward to 2017—Dan and Stephanie were spending a snowy February evening in the Charlestown Navy Yard of Boston, Massachusetts. Surrounded by tall skyscrapers and icy harbor water, Dan knelt in front of a very shocked Stephanie and asked her to marry him. Just a few months ago in June, when the Boston air was warm and smelled of the sea, Dan and Stephanie took me back to the place they fell in love and allowed me the honor of capturing them in their place, their element, their home. Summer is the perfect time for a tea party wedding! Check out Stephen and Jamie's elegant day at Maplehurst Barn in Hollis!